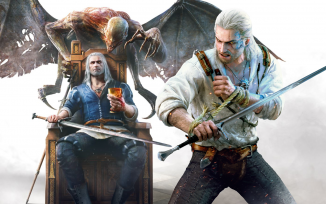 Cane and Rinse concludes its epic sixth year by closing off our run with The Witcher, specifically the two substantial pieces of downloadable content for The Witcher III; Hearts of Stone and Blood and Wine. Leon, Josh, Leah and guest Mike Diver (@MikeDiver) discuss the new stories and features that these extra chapters brought to the already fulsome Wild Hunt experience. As usual we hear from the listeners and community members in both long and short form too. Cane and Rinse 300 was edited by Jay Taylor.